This page is about the books I’ve written. I’m excited about them and proud of them, and I hope that you’ll enjoy them. 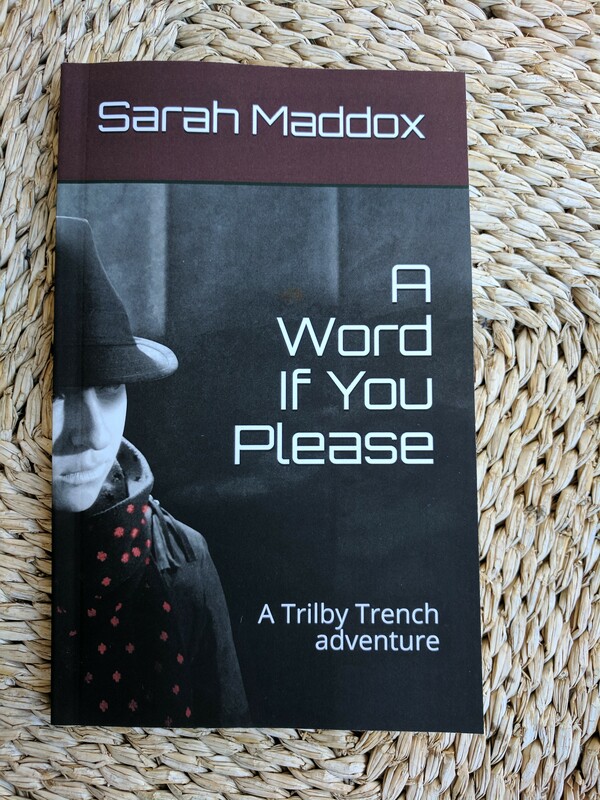 I’m thrilled to announce the publication of the latest Trilby Trench action book, Words Words Words! Trilby Trench’s worst nightmare comes true. Her friend Bonnie goes missing. The last message from Bonnie came from a remote location in Australia’s Top End. Since then, nothing. Has Bonnie simply gone walkabout, or has some mishap befallen her? It’s up to Trilby to find out. There are times when words are evil. Times when words cause nothing but trouble and strife. That’s when you need someone who knows their way around a sentence and around a fight. Someone like Trilby Trench. Words Words Words is available on Amazon as a Kindle ebook (USD $3.99) and as a paperback (USD $8.99). I’ll publish a few chapters on the Trilby Trench site, to give you a taste of the story. I’m Trilby Trench. As in the hat, the coat. The role of a technical writer is more exciting than you’d think. Trilby has always been lucky in a fight. Or perhaps it’s skill rather than luck. As every technical writer knows, you need to do something yourself before you can write the manual. Trilby has written a variety of manuals. 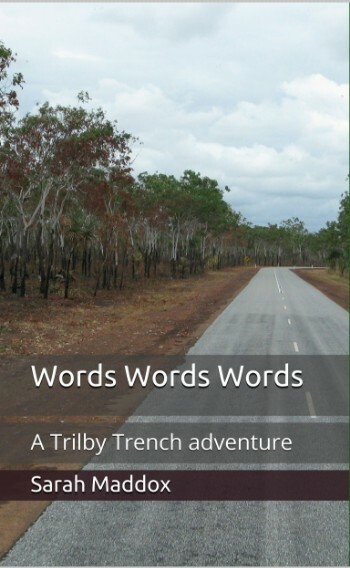 Get the book in Kindle or paperback from Amazon.com or read it online on the Trilby Trench site. It’s a quick read, at just over 45,000 words. Fast moving. Adventure and derring-do. Great location. Vibrant language. The book is set in a beautiful, intriguing part of the world, with enough stories of its own to enthrall you: The Thousand Islands of the St Lawrence river. River rats, smugglers, a daredevil seaplane pilot – they all fit right in. What’s a girl to do but join ’em? Things Unseen is a psycho-romance, available in eBook format from Amazon.com (Kindle) and Smashwords (PDF, Kindle, EPUB and other formats). What’s the book about? Dirk and Elise meet in Cape Town in the mid 1980s. They fall in love. Things happen. Well, you’d expect that! But some of the happenings are tragic, scary, or just plain weird. Dirk and Elise bump heads with lovable rascals and with more complicated people. Evil people, supernatural beings? That’s for you to find out. What do I think of it? I am delighted with this book, and proud of all it represents. A love story. African and European cultures meeting, competing, and merging to produce something new. The results of careful study of African culture, language and stories. Is there a link between African witchdoctors and Carl Jung? Read the book to see what Dirk and Elise discover. In this, I am indebted to M. Vera Bührmann’s book, Living in Two Worlds, Communication between a white healer and her black counterparts. 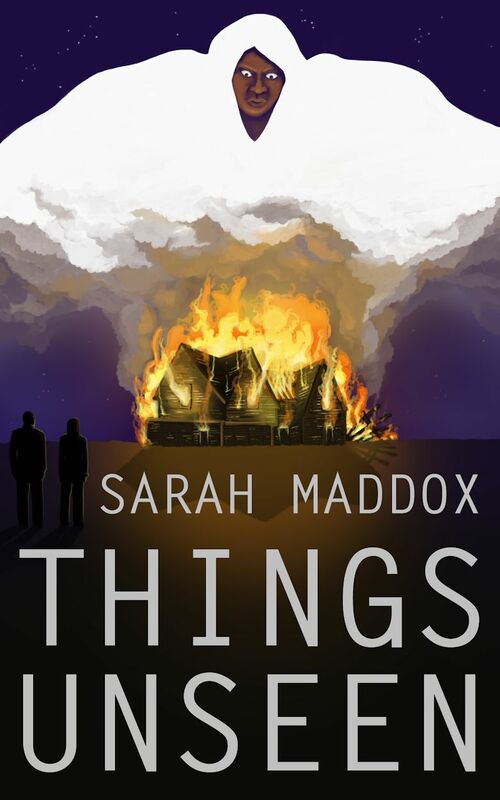 Here’s a review by a less-than-unbiased bookworm, who nevertheless has interesting insights into the book: Inside the book – Things Unseen by Sarah Maddox. I think you’ll enjoy Things Unseen. I hope you’ll love it as much as I do. This book is now out of print. You can download a free PDF version of the book from the publisher, XML Press. This book is out of date with respect to the latest versions of Confluence wiki, and it does not necessarily reflect Atlassian’s direction for Confluence. 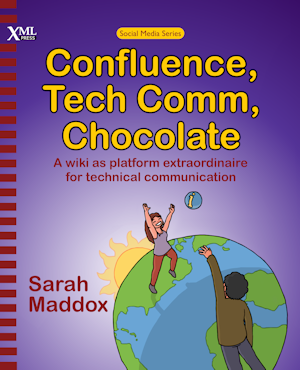 For the first 18 months after publication, a Confluence, Tech Comm, Chocolate wiki site was available for readers to experiment with. That site is no longer available. If you like, you can get a free evaluation licence from Atlassian, to experiment with Confluence. The book isn’t an Atlassian project. 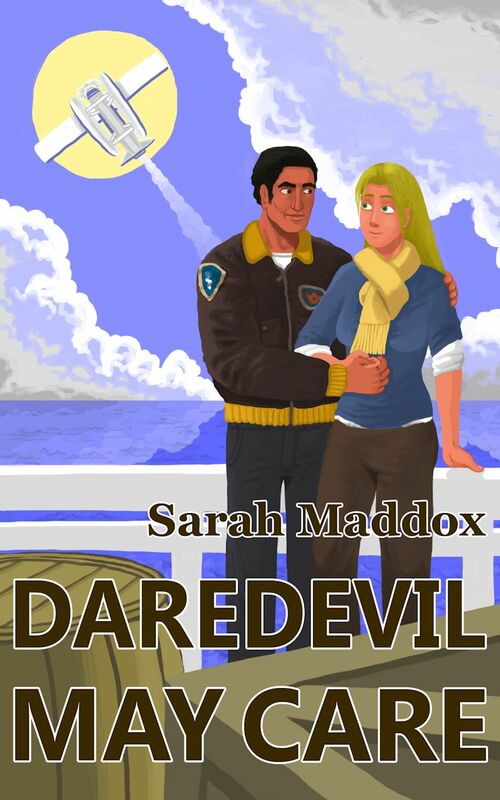 Ryan Maddox is the talented artist who designed the covers for Things Unseen and Daredevil May Care. He also created the illustrations and cover design for Confluence, Tech Comm, Chocolate. Congrats, Sarah- this book looks awesome! Thanks Arnold! It was a very interesting experience writing it. I learned a lot, both about the wiki and about the process of publishing a book. It was great working with the publishing team. Congratulations on your book, Sarah. This book is essential reading for anyone interested in Confluence. Especially for anyone interested in an insider’s perspective on Confluence. An idea – a “dog-food challenge” – for the next edition: produce a publication-quality PDF – the final camera-ready copy (CRC) – directly from Confluence. I understand that XML Press might have its own technical reasons for wanting to push content exported from Confluence through its own formatting tool chain. Although I think it would be preferable if Confluence could directly produce output that is acceptable to XML Press as CRC, I think it would still be a useful exercise to produce an equivalent-quality PDF of the book directly from Confluence in a single click or a single command/API call. For the production of the book, we needed to go to DocBook first, so that we could include things like the index and footnotes. The DocBook export plugin provides macros that you can use to embed index entries and footnotes into the content of the page. When you generate the DocBook output, it converts the macros to DocBook index entries. This means that you can move the content around, and reformat it at will, without worrying about the page numbers for the index. You can also decide at printing time whether you want your footnotes at the bottom of the page, end of the chapter or end of the book. Do you have any advice on getting a copy of your Confluence book? On Amazon and Half.com it’s selling for hundreds of dollars, which I can’t afford! I really need help, too — my company does! We are trying to make the switch from FrameMaker/RH to Confluence, and could use a knowledgeable guide. Even if the book is slightly out of date, I’m betting it would be a big help. Do you know of any way I can get a copy at the original price or something close to it? Many many thanks for any suggestions. Thanks so much for getting in touch with me. 🙂 I’ve had a word with Richard Hamilton at XML Press, the publisher of the book. At this stage he still has a few copies of the book available at a reasonable price. The contact details are on the XML Press website. I’ve also just published a blog post announcing that the book is out of print. I’ve included some sources of advice for people who’re looking to use Confluence for technical documentation. I hope they’re useful! Hi Sarah. I’m a tech writer and publisher. I’m giving an STC webinar soon for tech writers related to the publishing process. It’s a follow-up to another webinar I gave about how tech writers can use their skills to enter this rapidly evolving industry. Because I see that you’ve also written/published books, I wondered if I could ask you some questions about your process. It may add something useful to the participants of the webinar, in addition to my own experiences. Would you be willing to contact me at the email address provided? Thanks. I love your blog and your interactive map! Hallo Toni, thanks so much for getting in touch with me. Your webinar sounds very interesting, and a very worthwhile subject for tech writers to investigate. I’m rather snowed under at the moment, and I’m also not currently involved in the book publishing world, so I can’t give many useful insights for the webinar. But I do have a suggestion: I recommend Richard Hamilton at XML Press as an expert in the publishing arena, especially for tech comm books. It’d be a good idea to chat to him or even collaborate with him on the webinar content. His contact details are on the XML Press website. As the book is out of print for quite a long time, have you considered making it available in PDF for free. Although Confluence has seriously changed, the ideas in the book not. For many people, the book can be still useful in delving deeper into the Confluence-based documentation authoring. Thank you very much for doing this, Richard! Thank you Richard (and, of course, Sarah) for making this book available for free downloading. I enjoy so much reading it. This book is a great resource of knowledge for technical communicators. It is already in my Top 10 most recommended books on technical writing! Thank you, Sarah, for making your book available. Although I purchased it when it first came out, it is great having access to the electronic version. Although we currently are on version 5.8 of Confluence, I still find much of the material applicable. Thanks John, that’s nice to know.